starstarstarstarstar" Very beefy parts compared to the old parts pulled out of my truck. " I will from now on purchase Moog suspension parts for all of my vehicles! Moog-PackageDeal278 - Ford Ranger 2wd 1987 -Front End Rebuild Kit : does the outer tie roods have grease fittings? 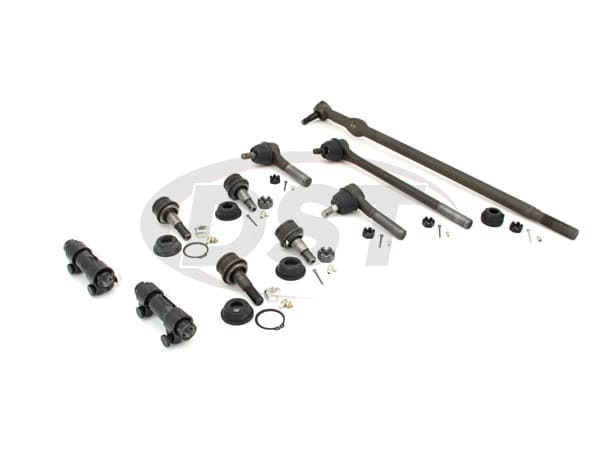 The front outer tie rods in this Moog-PackageDeal278, part number moog-es2077rt and moog-es2078lt, will have grease zerks to service the ball joint.